Each year we compile free expression reports from across the country as a part of our Review on Free Expression in Canada. See our interactive map below for additional insight into the major issues in each province and territory. Simply roll over the image to reveal articles, videos and other related content. Help ensure we’re covering the issues in your region! There is always news taking place across the country, and we can’t catch it all. Much of the information in these reports was scouted by CJFE’s Regional Monitors, who help bring to our attention stories regarding free expression across Canada that we might otherwise miss from our home in Toronto. 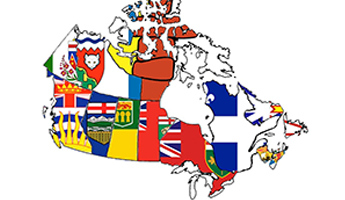 If you are concerned about the state of free expression in Canada and can offer a distinct and informed perspective on a specific region of the country, a position as a CJFE Regional Monitor might be for you! If you are interested in monitoring any one or part of one of these regions for free expression news coverage, or if you would like additional information, email azakreski@cjfe.org, or fill out our volunteer form and mention the "Regional Monitor" position. View the original reports below, or download the PDF.